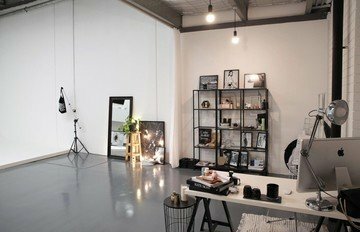 We're a stylish photography studio and event space available for hire in Melbourne's Inner West. 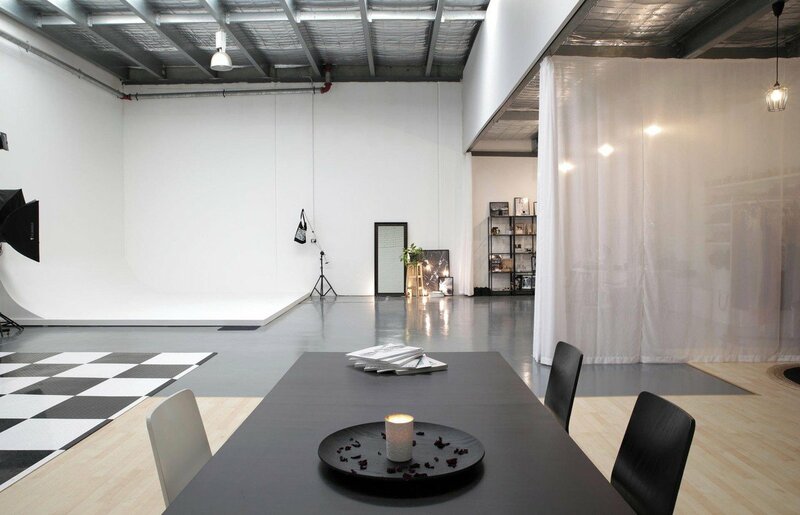 Located in trendy Williamstown, we're a fully serviced studio offering our clients an unrivaled designer space that will meet all expectations. An abundance of space filled with artful touches, clean surfaces, well engineered staging areas and intelligently controlled lighting conditions. Here, we want you to be comfortable, relaxed, productive and above all; creatively unrestricted. So we've created a warm and welcoming aesthetic to our interior, where we'll fuel you with gourmet food, great coffee and surround you with supportive creative personalities and good music. 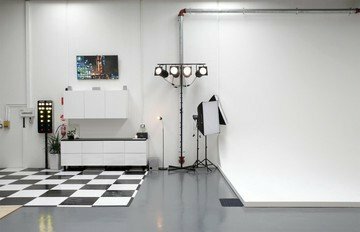 To unleash your creativity and potential, the best photographic and production equipment available is at your disposal; and technical support is just a knock away as our passionate and experienced studio manager is on site to assist you in your endeavors. There are many studios in Melbourne, all offering a different vibe and character. Here, we strive to create professional relationships and repeat business by going above and beyond in all regards. It's our desire to become something more than a photography studio, within our warehouse walls there's support, passion, networking, education, clarity, a bright community of like-minded professionals and something that can't be bought; a true feeling of being welcomed with a sense of mutual ownership and inclusion. We're proud and excited to have opened our doors and we're looking forward to building a future with you, one shutter, blog, dress, hairstyle and meeting at a time. 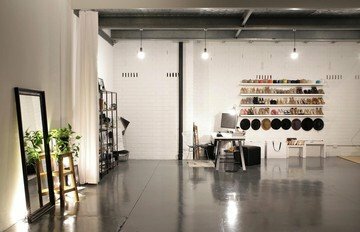 180m2 Studio Space: 11m x 16.5m. 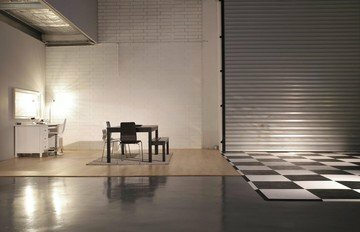 4.2x4.2m Infinity wall: (White only). 5m wide white brick feature wall. Dedicated fitting area w/ privacy screen. Common/Meeting area with large table. Fully stocked kitchenette &amp; bar fridge. Full size kitchen with dining lounge. Clothes racks and steamer on site. 3x Polyboards (White/Black) &amp; Shot bags. 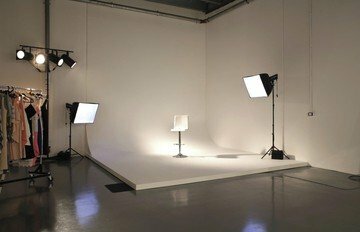 4x 1000w HD Theatre Spot Lights. 55" Samsung TV with Media Library. 400w Sound system w/Aux &amp; iDock. WIFI via 20/20 NBN access. (8ms ping). Desk mounted phone charging hub. Valet Car Detailing service Available. Off street parking for up to 18 cars.